I’ve hardly had a quiet moment ever since coming back from a road trip round the Great Ocean Road with a friend I met in a hostel and another friend we both sourced online. As soon I got back into the city I started my job as a bartender in said hostel. The building has a nightclub in the basement, a bar on level one, a restaurant above that and then 11 floors of hostel which brings people from all around the world for me to meet. In between shifts you’ll find me crawling Melbourne’s bars, coffee shops and miscellaneous. Whenever I have time spare my friends will get the text message: “Hey! I found this place we HAVE to try, let’s go check it out!” My family gave me the best Christmas present which is a lot of help: ‘Hide and Seek: Melbourne’, a guide to rarely discovered wonders whether that be petting pugs in the park during a weekly gathering or joining in an interpretive dance rave. It’s a good feeling ticking them off one by one. 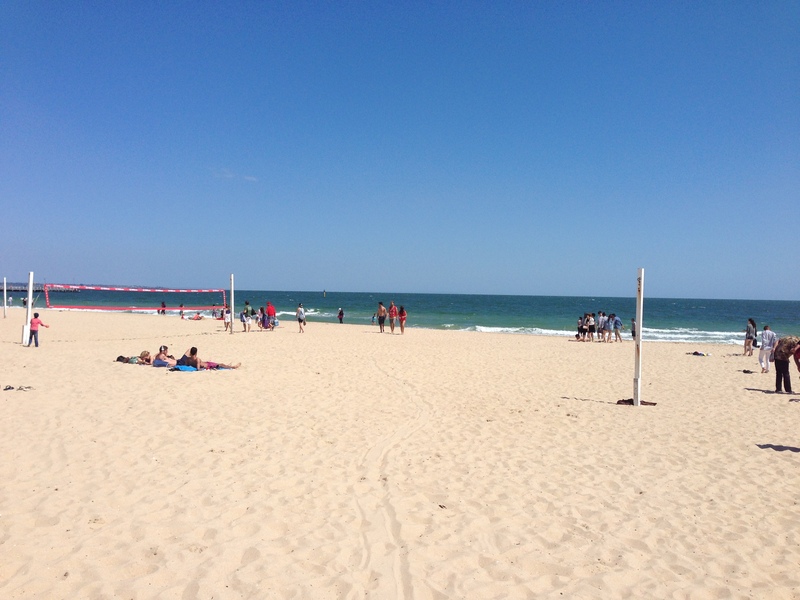 Where else is better on Christmas Day than South Melbourne beach? A couple of my favourite moments have been dining in a pay-what-you-want vegetarian cafe nestled in a convent, (Lentil As Anything, Abbotsford Convent – check it). 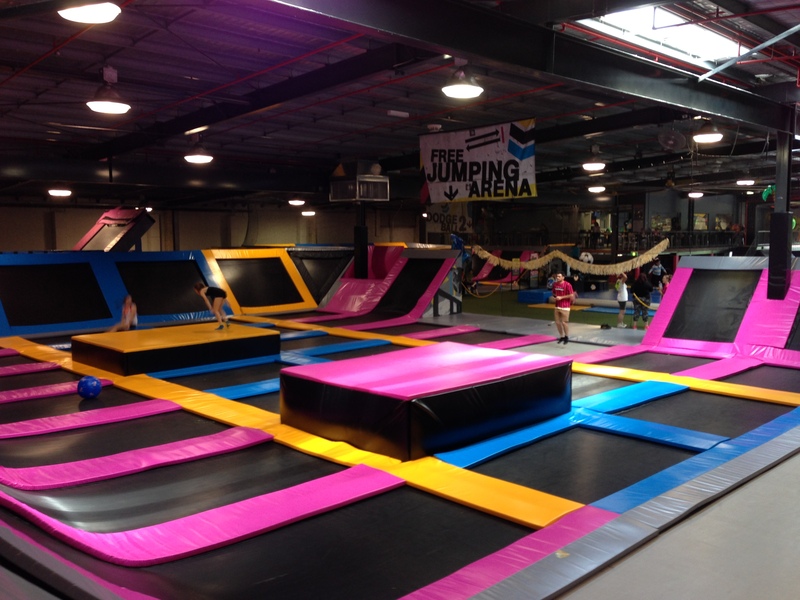 Also, Bounce Inc. is a trampoline emporium of sorts perfect for small children and excitable young adults alike. But what do I think of Melbourne? Well, I don’t need to have even visited any other cities to know Melbourne is an urban hipster’s paradise. The city is so cute in its own little organic way. 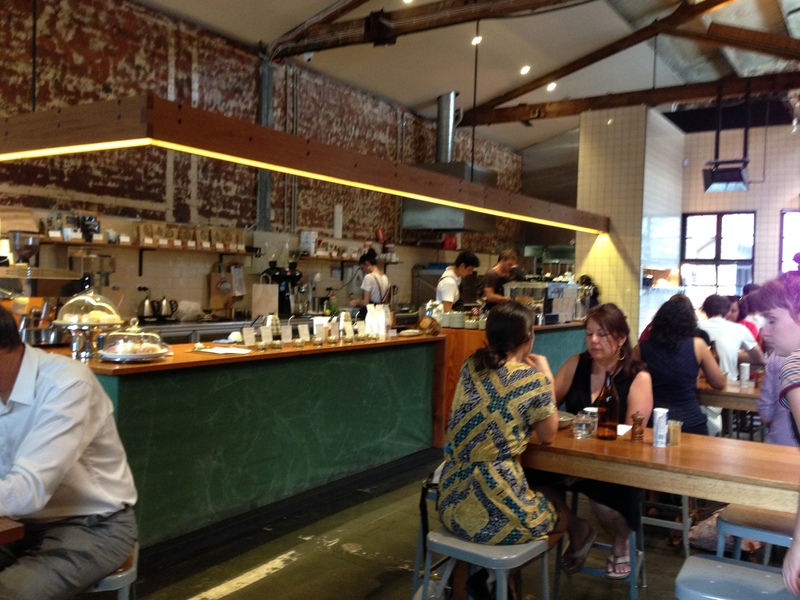 The streets covet coffee shops which have an urban flavour mixed with the hipster trademark. Take 1000 £ Bend for example, an old warehouse which has been renovated to include two bars, a sofa and cafe space as well as room for exhibitions and even an underground cinema. I am currently sitting in 7 Seeds Speciality Coffee, which is what it says on the tin as well as a cafe selling the most artistically fashionable dishes imaginable. Outside it looks like a regular old dirty building on a street but inside the decor is beautiful. Look out the windows to the other side and you see a corporate car park and the narrow alleyway so it makes you feel like you’ve found a little slice of heaven. It is nestled in my current suburb of Carlton which is renowned for humble coffee cafes, bars and other indie hangout spots. Carlton is next to the buzzing suburb of Fitzroy known for the fabulous nightlife. Naked For Satan is a prominent bookmark. The rooftop bar is known for the best view of sunset over Melbourne. Not only are all these places easy on the eye but you get the feeling that they’re independently owned and looked after. The interiors are haphazard yet creative and the people treat you like an old friend. My friends and I are always mouthing “wow!” at each other – we have nothing like this at home. Of course I’ve forced myself to do a few regular tourist things like visit the Sealife Aquarium, laze on St Kilda Beach and visit the Shrine of Remembrance but on the top of my must-do list is to go see some live music. English lads The 1975 are rocking to Melbourne’s Festival Hall this week and I can’t wait to see them again but I need to sample some Ozzie music, especially as a music journalist. Hopefully I should be going to Rainbow Serpent festival in Lexton, Victoria which is spaced out over a long weekend and seems perfect for people who well, want to get spaced out. It promises to be an aboriginal experience with music as well as fun things to see and do. The website boosts a hippie vibe which is what I’m psyched for. On top of that, I have my tickets for Soundwave Festival which is more pop punk. My favourites from back home such as Lower Than Atlantis and Twin Atlantic are coming over for the superhero themed weekend. So there you have it, my time in Melbourne so far. I have never fallen so quickly in love with a city like I have with this one. I am having nightmares about leaving but more adventures await!